AM has been very impressed by Vhils’ first UK solo show “Scratching The Surface“, which recently opened at Lazarides Rathbone Place. A video has just been released which documents the artist’s process of installation in the gallery. It’s great to see more footage of Alexandre taking his hammer and chisel to the wall to carve out his exquisite portraits. See the video here. Categories: Art, Street & Urban Art, Videos. 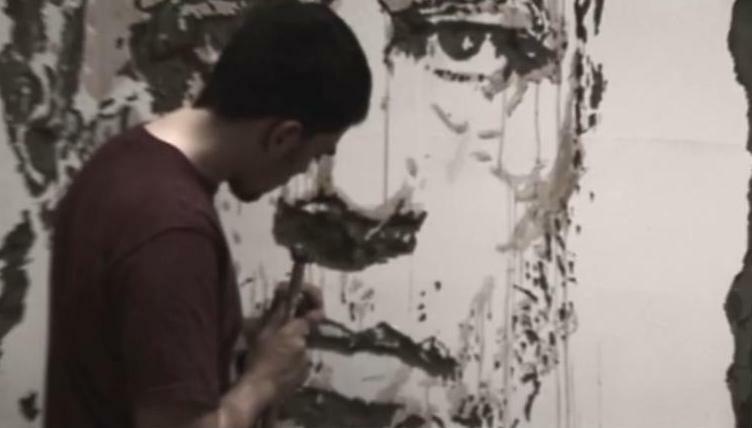 Tags: Installation, Shows & Events, Street & Urban Art, Vhils, Videos.